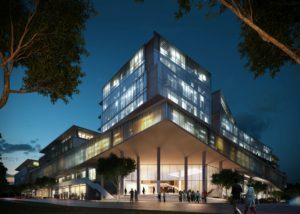 THE BIM Institute spoke to Adhir Imrith from Arup on the use of BIM in the delivery of the Park Square development located in Umhlanga New Town Centre, North of Durban. The 85,000m2 development, comprising of commercial office space, a retail component at street level and basement parking, is being developed by Nedport Developments (Pty) Ltd., a fully owned subsidiary of Nedbank Ltd. Around half of the commercial space will accommodate Nedbank Ltd. as the anchor tenant with the remainder of the space still out to market. The development is targeting a 4-star Green Star As-Built Rating and Nedbank as the anchor tenant, will also be targeting a 4-star Green Star Interiors Rating for their space. Arup’s appointment on the project encompasses consulting services for civil, structural, mechanical, electrical, public health, fire, façades and sustainability consulting. It has also been appointed by Nedbank Ltd. to provide sustainability consulting services for its Green Star Interiors rating. Autodesk Revit 2016 was the chosen software platform for the project. Architecture, structure and building services were all modelled on this, making integration seamless. Internally within Arup, the structural model was separate to the services model due to different template set-up requirements and to keep the size of the models reasonable. 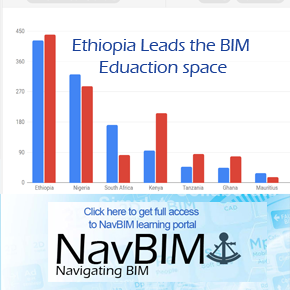 The BIM Execution Plan (BEP) is integral to the successful delivery of a project using BIM. It sets out the various principles and protocols to be adopted on the project. Arup was responsible for developing the BEP for the project and advising the design team on its contents and implications on their workflows. Delivery of the project using BIM was not a client requirement, but rather a design team decision hence no Employer Information Requirements (EIR) were available. The decision was taken that this project will develop building information in a collaborative 3D environment with data attached, but created in separate discipline models. The project team went a step further to ensure that the successful principal contractor would develop his construction programme using the available 3D models, in essence 4D BIM. 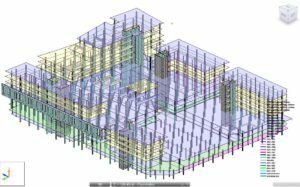 On this project, the structural analytical models were created within Revit and exported to Robot structural analysis (RSA) using the available plug-ins. All load cases and boundary conditions were included in the Revit model in order to minimise the modelling work required within RSA. The analysis software was used purely as an analytical engine with all modelling taking place within the Revit ecosystem. The creation of the analytical model happens as the physical model is being developed hence the modeller needs to develop an appreciation for the way elements are modelled physically to have the correct analytical representation. If the physical model is done in isolation then there will be significant effort required to ‘clean up’ the analytical model before you can export to the analysis package. An example of how physical modelling needed to change in order to assist the analytical model was the modelling of steps in slabs. Typically, along the step line, the two slabs at the different levels will overlap to create the soffit step. In the analytical model, this results in the meshes of the two slabs overlapping. The solution was to model the slabs such that they shared the same boundary and created the soffit step using a model in place element or a beam element which was analytically disabled. All the rebar for foundations and vertical structure (columns, retaining walls and core walls) were modelled within Revit. All floors were post-tensioned and detailing of these slabs were done under a design-supply contract and not within Revit. Scheduling was also done within Revit using the built-in schedule functions. Clash detection was a big driver for the design team when deciding to adopt BIM on this project. Clashing of services with each other or the structure is a constant source of frustration on construction projects and results in abortive work and programme implications. On a fast-track programme such as this, it was essential to adopt a protocol to minimise clashes on site. Navisworks Manage 2016 was used to run automatic clash detection tests. Virtual design coordination (VDC) meetings were held regularly to run through the model and resolve clashes as they arose. Arup created custom clash sets to cover the various types of clashes. The BIM coordinator for the project was responsible for linking in the various models and running the clash tests prior to the VDC meeting. During the VDC session, the clashes will be run through and the particular clash assigned to the appropriate discipline to resolve. Once the clashes were resolved, the test were run again in order to close out the clashes. Another benefit of working in a 3D virtual environment is that design decisions can be communicated to other non-technical members of the team. Virtual walk-throughs of the model are done on a periodic basis with the client to gain a better understand of the building they will be inheriting. Walking through the building in this manner has also allowed the client to make recommendations to the design team around facilities management issues etc. The adoption of BIM on the Park Square development has allowed Arup and the rest of the design team to deliver a technically challenging building on a tight construction schedule in an efficient and coordinated manner. This integrated workflow has streamlined our internal processes and assisted in reducing errors internally and on site. 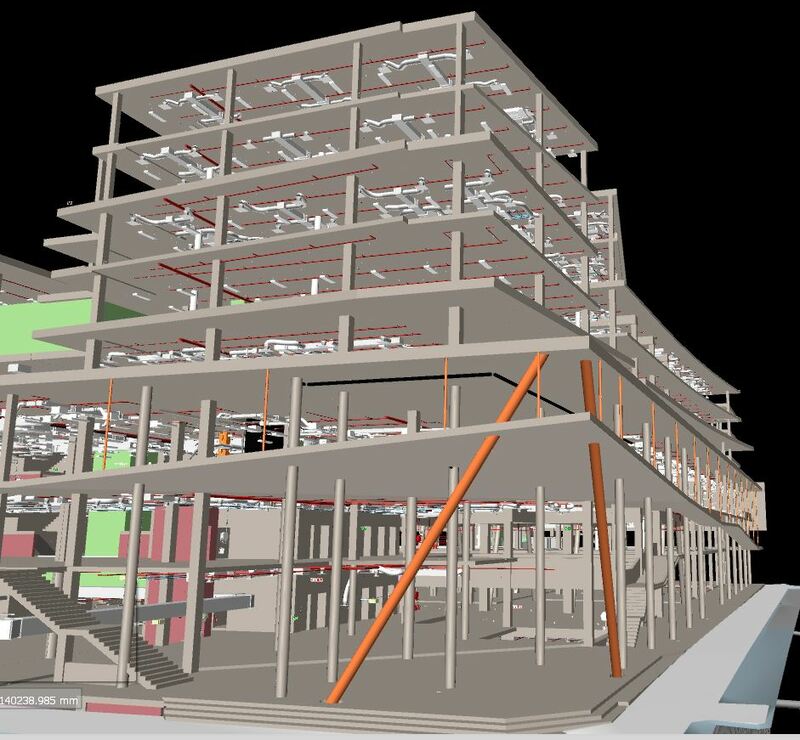 The site teams access to the 3D models has also assisted in identifying potential problems and pinch points beforehand thereby mitigating risk to all parties involved on the project.